New battery models & x-reference lists are updated continually. NB-2L: 7.4volt 1000mAh rechargeable Lithium Ion battery pack for CANON cameras & camcorders. 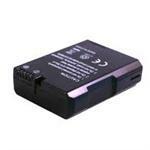 NB-4L : 3.7 volt 1000mAh Lithium Ion battery pack for CANON digital cameras. Replaces original battery # NB-4L. 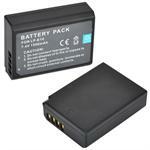 NB-10L : 7.4 volt 1400mAh rechargeable Li-ION battery for Canon PowerShot G15, PowerShot G16, PowerShot G1 X, PowerShot SX40 HS, PowerShot SX50, PowerShot SX50 HS. 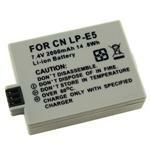 LP-E5 : 7.4 volt 2000mAh Li-ION battery for Canon EOS Rebel Xsi, XS, T1i EF-S, Digital Rebel XS, etc. NB-8L : 7.4 volt 1000mAh rechargeable Li-ION battery for Canon cameras such as Powershot A1200, A2200, A3000 IS, A3100 IS, (X-ref part # DLC8L). USC-003 : Universal adjustable Smart Charger for 3.6v and 3.7v Li-Ion Batteries. For worldwide use! Canon OEM brand LP-E10 Li-ION battery. 7.4 volt 860mAh rechargeable Li-ION. 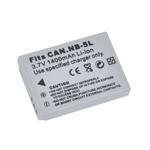 NB-2LH: 7.4 volt 1500mAh extended-life rechargeable Lithium Ion battery pack for CANON cameras & camcorders. Replaces original part # NB-2L, BP-2626R, BP-2L12, BP-2L13, BP-2L14, BP-2L15, BP-2L24H, BP-2L5, BP-2LH, etc. 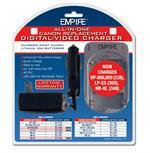 BP-511 : 7.4 volt 2000mAh rechargeable Li-ION battery for CANON digital cameras & camcorders. Replaces BP-508, BP-511, BP-511A, BP-512, BP-514, BP-522, BP-535. See xref list for compatibility with cameras. 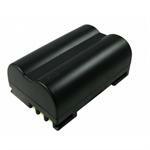 LP-E6 : 7.2 volt 2650mAh Li-ION battery for Canon 5D Mark III, 5D Mark II, EOS 6D, EOS 7D, EOS 60D, EOS 60Da, etc. 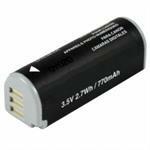 LP-E6 : 7.2 volt 2650mAh Li-ION battery for Canon digital cameras, such as the EOS 5D Mark III, Canon EOS 5D Mark II, EOS 7D, EOS 6D, EOS 60D, EOS 60Da. NB-13L : 3.6v 1500mAh rechargeable Li-ION battery for Canon PowerShot G7X. 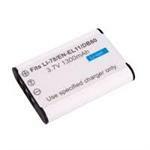 BP-827 : 7.4 volt 2670mAh rechargeable Li-ION battery for Canon camcorders. Replaces BP-807, BP-809, BP-819, BP-820, BP-827, BP-828. See x-ref list for compatibility. 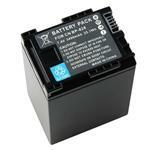 BP-828 : 7.4 volt 3400mAh Li-ION battery for Canon VIXIA HF G30, XA20, XA25. Replaces original BP-820, BP-828. 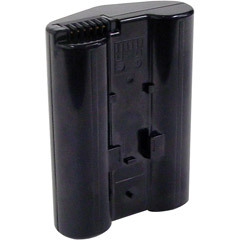 The NB-1L is a 3.7 volt 750mAh Lithium Ion rechargeable battery pack for Canon digital cameras. Replaces original part # NB-1L, NB-1LH, etc. 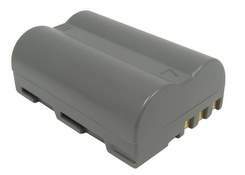 The NB-5H is a 6.0 volt 650mAh rechargeable Nickel Hydride battery pack for specific Canon digital cameras such as A-5, A-5 Zoom, A-50, A-520; S-10, S-20. The NB-1LH is a 3.7v 1000mAh LONG-LIFE Li-ION battery for CANON cameras. 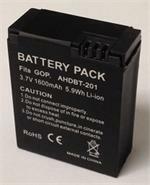 Replaces original battery #s NB-1L, NB-1LH, etc. 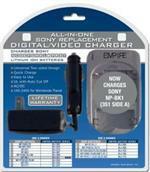 ALL-IN-ONE battery charger for 3.7v - 7.4v digital camera batteries, Cellphone batteries, AA cells, AAA cells, & more ! Worldwide use! Operates from AC wall outlet or 12VDC socket! The BCUNI3 is a universal fast charger for battery packs used in cameras, camcorders and mobile phones, plus for charging AA and AAA batteries. Safely & smartly terminates charging when the battery is full. Charges most digital camera, camcorder and mobile phone Lithium-ion and Nickel Metal-Hydride batteries from 3.6V - 7.4V. Charges 2 AA/AAA Nickel Cadmium or Nickel Metal-Hydride batteries. International 100-240V AC and DC car cord plus EU & USA plugs included. USB port simultaneously charges mobile phone, MP3 & other handheld devices. Has LCD indicator for charging and detail battery information. Has adjustable tension & contact design to fit most battery types. NEW - Universal battery charger for 3.6v - 3.7v Li-ION / Li-PO digital camera batteries, Cellphone batteries, & more ! Worldwide use! Operate from AC wall outlet or 12VDC socket! The USC-003 is a universal Quick-Smart charger for 3.6v & 3.7v Li-ION & Li-PO batteries used in cameras, camcorders and mobile phones, GPS, etc. Safely & smartly terminates charging when the battery is full. Plugs into 100-240VAC wall outlets for worldwide use. You simply place the battery onto the charger surface, align the moveable contacts to meet with the battery contacts. The LCD screen display will indicate charging status. The USB port on side (5VDC out) can be used to charge mobile phone, MP3 & other handheld devices. Has built-in protection circuits to prevent overheating, overcharging, and reverse-polarity. Lighted LCD indicator shows charging status. Fits Casio Exilim Card EX-S20, S100; Exilim EX-M1, EX-M2, EX-M20, EX-P600, EX-S1, EX-S2, EX-S2PW, EX-S3, EX-S20, EX-S20U, EX-Z3, EX-Z4, etc. Replaces Casio NP-40, Casio NP-40DBA, NP-40DCA. Replaces Casio NP-30 / NP-30DBA, Kodak KLIC-5000, Fuji NP-60, HP A1812A, Olympus Li-20B, Panasonic CGA-S301/302A/1B, VW-VBA-10/VBA-21, Pentax D-Li2, Ricoh DB-40, Samsung SLB-1037, Toshiba PDR-BT3. Replaces Fuji NP-40 & Pentax D-LI8, DL-I8, DLI-102. Replaces Fuji NP-60, Casio NP-30, Casio NP-30DBA, HP A1812A, Olympus Li-20B, Panasonic CGA-S301/302A/1B, VW-VBA-10/VBA-21, Pentax D-Li2, Ricoh DB-40, Samsung SLB-1037, Toshiba PDR-BT3. Fits FUJIFILM – MX-600, MX-600Z, MX-700; QX5HD; JVC GC S5, GC S5E, GC QX3HD; LEICA D-LUX, DIGILUX, etc. BLI-385 : 3.7 volt 1100mAh rechargeable Li-ION battery for GoPro HD Hero, HD Hero2 digital cameras / camcorders. Fits model # AHDBT-001 & AHDBT-002. Re-charges with original charging system, or with our BCUNI3 universal charger. 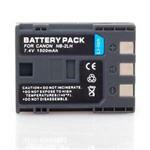 BLI-442 : 3.7 volt 1600mAh Li-ION battery for GoPro HD HERO3 etc. BLI-442 : 3.7 volt 1600mAh rechargeable Li-ION battery for GoPro HD HERO3, AHDBT-003, AHDBT-201, AHDBT-301 digital video cameras. JVC - GC-QX3/D/U; GC-QX5HD; GC-X1. Replaces BN-V408, BN-V416, BN-V428, BN-V438, etc. Replaces BN-V408, BN-V416, BN-V428, BN-V438, etc. Fits on outside. Price is for 1 battery. List $ 40.00 Your Price $ 24.95 ea. List $ 50.00 Your Price $ 39.95 ea. List $ 60.00 Your Price $ 49.95 ea. List $ 50.00 Your Price $ 34.95 ea. 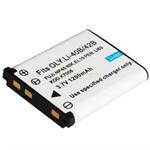 EN-EL14 : 7.4 volt 1350mAh Li-ION battery for Nikon CoolPix P7000, etc. 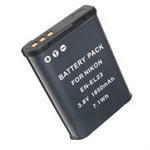 EN-EL14 : 7.4 volt 1350mAh rechargeable Li-ION battery for NIKON digital cameras. Fits CoolPix P7000, P7100, P7700, D2100, D2200, D3100, D3200, D5100, etc. Replaces part #s EN-EL14. Re-charges with stock charger, or our BCUNI3, or our DVU-NIK1. EN-EL12 : 3.7 volt 1400mAh rechargeable Li-ION battery for Nikon digital cameras such as Nikon Coolpix S70, S610, S610C, S620, S630, S640, S710, S1000, S1000pj, S1100pj, S6000, S8000, S8100. Replaces: Nikon EN-EL12. 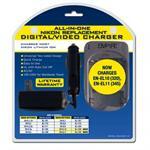 EN-EL15 : 7 volt 1600mAh rechargeable Li-ION battery for NIKON digital cameras. Replaces EN-EL15, ENEL15. DVU-NIK1 :Smart Charger system for NIKON style camera batteries. AC-DC WORLDWIDE operation; charge at home or on the go! Fully automatic; works with battery #s EN-EL1, EN-EL2, EN-EL3, EN-EL3e, EN-EL5, EN-EL7, EN-EL8, EN-EL9, EN-EL10, EN-EL11. The EN-EL8 is a 3.7 volt 730mAh rechargeable Lithium ION battery for NIKON Coolpix P1, P2, S1, S2, S3, S5, S6, S7c, S7c Wi-Fi, S8, S9; KODAK EasyShare LS755, LS755 Zoom. X-ref battery # DLNEL8. 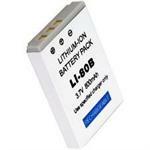 KLIC-8000 : 3.7 volt 1600mAh rechargeable Li-ION battery for Kodak & Ricoh digital cameras. KLIC-7004 : 3.7volt 1400mAh Li-ION battery for Kodak, Fuji, Pentax digital. Replaces KLIC-7004, NP-50, Li68. The KLIC-5001 is a 3.7volt 1700mAh rechargeable Lithium ION battery for various Kodak cameras (See x-ref list). 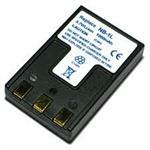 BP-PRO14N : 7.4volt 1500mAh rechargeable Li-ION battery for Kodak DCS-PRO SLR/C and SLR/N. Replaces Kodak battery # PRO14N. The KLIC-7001 is a 3.7 volt 720mAh rechargeable Li-ION battery for Kodak EasyShare V550, V570, V610, V705, M1073 IS, M1063, M320, M340, M341, M380, M893 IS, M863, M753, M763, M853, M863, Polaroid T1031, etc. Replaces original part # KLIC-7001, DLK-7001. KLIC-7002 : 3.7volt 600mAh rechargeable Li-ION battery for Kodak digital cameras. The # KLIC-7002 is a 3.7v 600mAh rechargeable Lithium ION battery pack for Kodak EasyShare V530, V603 Zoom digital cameras. Replaces original KODAK part # KLIC-7002. The DLO30B (LI-30B) is a 3.6v 645mAh rechargeable Li-ION Lenmar-brand battery pack for Olympus Stylus Verve, Verve Digital, Mini Digital, Mini Digital S cameras, etc.. Replaces original # Li-30B battery. NP-BD1 : 3.7 volt 1200mAh rechargeable Li-ION battery for SONY digital cameras. Replaces original NP-BD1, NP-FD1. See x-ref list for compatibility. NP-BN1 : 3.6 volt 900mAh Li-ION battery for SONY digital cameras. This is a Batteries America product. 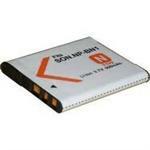 NP-BX1 : 3.6 volt 1600mAh Li-ION battery for SONY digital cameras & camcorders. Replaces original NP-BX1. See x-ref list for compatibility; fits MANY Sony digital products ! 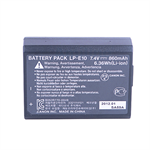 NP-BK1 : 3.7 volt 1200mAh Li-ION battery for SONY digital cameras. See x-ref list for compatibility. NP-BG1 : 3.6volt 1400mAh Li-ION battery for SONY Cyber shot Digital Cameras. NP-BG1 : 3.6 volt 1400mAh rechargeable Li-ION battery for SONY Cyber shot Digital cameras. Replaces original part # NP-FG1 & NP-BG1. 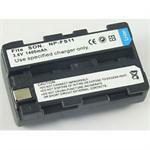 NP-FS10 : 3.6volt 1400mAh rechargeable Li-ION battery for SONY digital cameras. Replaces NP-FS10, NP-FS11, NP-FS12, NP-FS20, NP-FS21, NP-FS22, NP-FS30, NP-FS31 etc. Fits CCD-CR1, Cyber-Shot models, and more. See x-ref list below for compatibility. NP-FW50 : 7.4 volt 1000mAh Li-ION battery for SONY digital cameras. Replaces original part # NP-FW50. 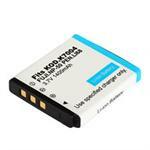 NP-F330-550: 7.2 volt 2500mAh rechargeable Li-ION battery for SONY digital cameras & camcorders. Replaces original NPF330, NP-F330, NPF550, NP-F550 etc. The NP-FE1 is a 3.6volt 450mAh rechargeable Li-ION battery for SONY Cyber-shot DSC-T7, Sony Cyber-shot DSC-T7/B, Sony Cyber-shot DSC-T7/S, Sony DSC-T7. Replaces original part # NP-FE1, DLS-FE1. The NP-FR1 is a 3.6 volt 1220mAh rechargeable Lithium Ion battery for SONY digital cameras. Fits many CyberShot models (see xref below). The NP-FT1 (aka. DLST1) is a 3.6 volt 710mAh Lithium Ion Battery pack for SONY DSC-T1 (Cybershot), DSC-L1, DSC-M1, DSC-T11, DSC-T3, DSC-T33, DSC-T3S, etc. The NP-FP51 is a 7.4volt 750mAh rechargeable Lithium ION battery for Sony Camcorders & Cameras. Replaces original NP-FP30, FP50, FP51, FP70, FP71, FP90, FP91, etc. Slim 3/4" thick size. The NP-FC10 (aka NP-FC11) is a 3.7 volt 630mAH rechargeable Li-ION battery for SONY cameras, such as DSC-F77, F77E, FX77, P10, P10E. P2, P3, P5, P7, P8, P8E, P9, V1, V1E, etc. 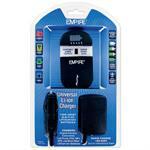 Li-ION Rechargeable P-CR-V3 battery & Smart charger combo pkg. Desktop Rapid Charging system - Consists of Base unit and 4 adapter plates. Plugs right into Wall Outlet (100-240VAC), OR use the handy built-in USB port! PENTAX D-Li2, D-Li7, D-Li8, D-Li63. Smart-Quick charger system for Li-ION batteries for Digital Cameras. for use with Vehicle 12VDC socket! OLYMPUS Li-30B. Charges batteries within a few hours, with automatic shut-off when battery is full.